Kassel - approx. 192,000 inh., in the north of the state of Hessen. 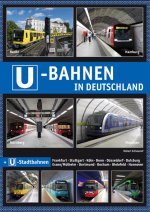 Between 1968 and 2005, Kassel boasted an underground tram stop in front of the railway station (Hauptbahnhof). The stop was closed in 2005 and the southern ramp (city side) incorporated into a new tunnel which now allows RegioTram vehicles to leave the mainline station and continue on urban tram tracks. These lines loop run through the city centre and terminate at Holländische Straße and Auestadion. Tram line 4 continues as an interurban line to Hessisch Lichtenau on rail tracks which are not used by regular passenger trains, and only a short section occasionally seeing freight trains. 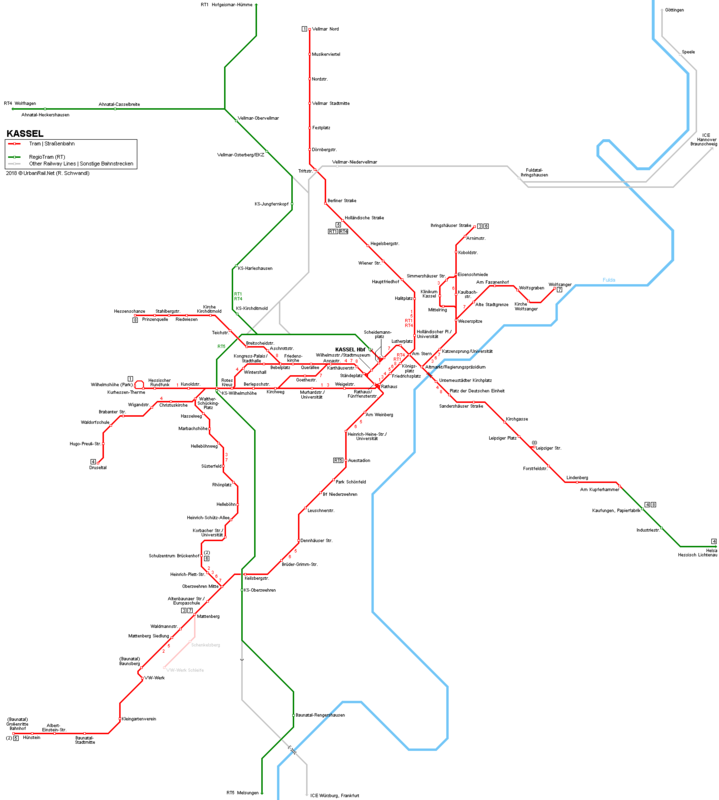 - 8 urban lines (line 2 rush hour only) + 3 RegioTram lines, which run on shared DB railway tracks and urban tram tracks.